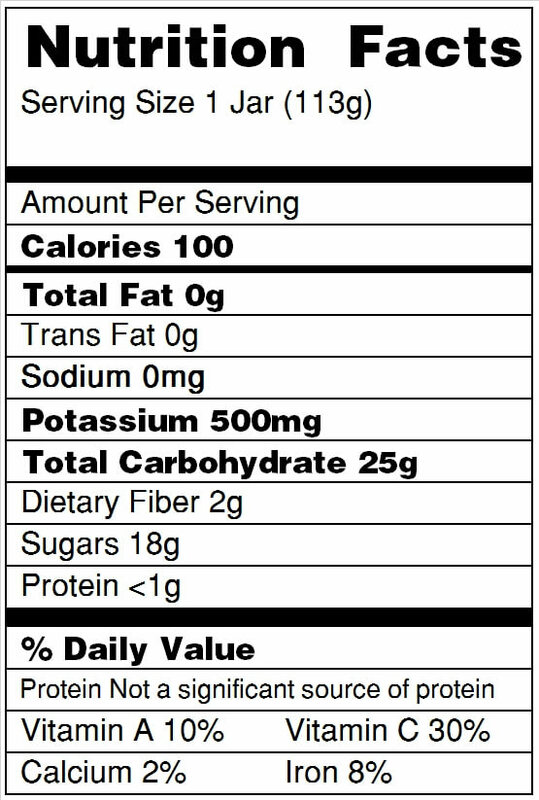 Ingredients: 99.5% bananas, 0.5% lemon juice concentrate. For the most accurate and up-to-date product information, please always refer to the label on the package itself. I received this as a sample and I am blown away. First off let me start by saying I did not know Beechnut was a small company in upstate New York. This immediately caught my attention and I am now proud to be a consumer of their products. After sampling this product I have switched from a competitor. I adore that the ingredients are simple and you healthy. You understand the ingredients on the jar and that is so important to me. Natural is just what my baby needs. My son loved the flavor and actually was throwing a tantrum when he finished eating because he wanted more. Thanks for sending me this you made this Mommy and baby very happy. The banana purée is always fresh my son absolutely loves beechnut bananas. Around 4 months I started baby food and of course started with the cheaper brands. My baby broke out in a rash with almost every food i tried. So i stopped and did some research. 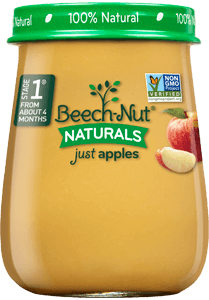 I began trying the Beechnut naturals and he loved it! Never saw any sign of an allergy or rash. We have continued to stay on it and i havent found one he doesnt like! They may be a little more pricey but so so worth it! This was baby's second food, she wasn't interested in it at first but now when I feed this to her she literally starts throwing a fit if I'm not fast enough and she thinks I didn't give her enough on her spoon. The food smells great just like sweet mashed bananas when making banana bread only no chunks lol. I also love that they are natural, I mean honestly why do we need to put so much bad in a child that is growing so fast? Beech-Nut seems to understand that our babies mean the world to us and it seems they mean something to them as well. Introduced baby food to my son at 5 months and was skeptical with everything added to other baby food, & came across beech nut and we absolutely LOVE it! Gives me comfort knowing that my child’s getting the exact food and no unknown additives. Highly recommend!! I just recently started introducing babyfood to my 5month daughter and she fell in love with your brand. The consistency is just amazing not to thick for her and it is easy for her to digest. I would definitely reccomend it! We are so sorry for this experience and glad your little one is OK! It is possible for one batch to be thinner or thicker in consistency, or different in taste, smell, or color than the last batch of the same variety of food due to crop variation. Particularly in foods that are high in natural starches (like bananas); two different batches of the same type of food can vary greatly in consistency. If you'd like to chat more, please call us at 800-233-2468. Thanks again for being a fan! Beech-Nut baby food is a complete line of classic, natural and organic real food for babies™ and toddlers, including purée jars, pouches, cereals, snacks and more, inspired by homemade. Discover baby and toddler recipes, advice, tips and more.